Commercial Door Manufacturing has compiled this resource library of some of the most commonly requested technical data and specifications. All product information sheets and standards are the most up-to-date version available. If you are unable to find what you need, such as a manual for a previous model of a product, or if you have a question, please give us a call. Commercial Door Manufacturing is a premier provider of commercial steel doors and frames for large building projects throughout the Southwest. 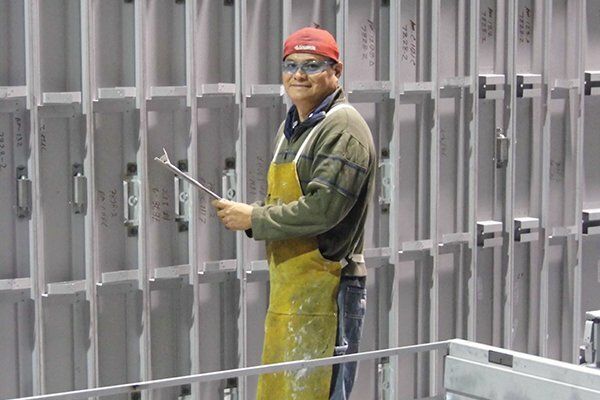 Our custom metal shop in Albuquerque, New Mexico, uses the latest sheet metal fabrication technology to meet complex, custom requirements quickly and efficiently.